TAMPA, Fla. – On the field, the USL midseason arrived in early July, but this week the midseason comes for USL executives, team owners and leaders as they converge on San Jose for the League’s annual Summer Meetings on Thursday. The meetings traditionally serve as a platform for USL executives to brief teams on business, competition and operations platforms and share initiatives to be undertaken by the League in cooperation with its teams. The meetings will also serve as an opportunity to begin planning the 2017 regular season schedule. The meetings will be held with the MLS All-Star Game festivities serving as a backdrop for the third consecutive year. Scheduling the League’s meetings around the MLS All-Star games gives USL owners, executives and League officials the opportunity to meet and conduct business with leaders in the soccer industry from all over the world. The addition of Nashville FC for the 2018 season. Announced in May and branded earlier this month, Nashville FC has already surpassed 1,500 season ticket deposits. Announced the creation of USL Productions, a new digital production division ahead of the League’s 2017 season that will oversee all of the League’s video production, including live game broadcasts. Seen expansion side FC Cincinnati explode out of the gate averaging almost 17,000 fans and setting a League record with 23,375 fans at its May 14 match versus Louisville FC at Nippert Stadium, the team’s home field. On July 16, the team set a state of Ohio soccer attendance record with 35,061 attending the team’s international club friendly versus Crystal Palace. Expansion team San Antonio FC opened its season with a record crowd of 8,466 against the Swope Park Rangers on April 9. While Sacramento Republic FC continues to have great attendance success with an average of more than 11,000, Louisville City FC, OKC Energy, Saint Louis FC and Colorado Springs Switchbacks FC have reached new attendance milestones during the 2016 campaign. Announced a partnership with ESPN that will see 20 regular-season games broadcast live on ESPN3 this season, and the USL Championship being broadcast on an ESPN over-the-air network. The USL teamed up with FC Cincinnati and Crystal Palace to offer a live worldwide stream of the July 16 international club friendly in Cincinnati on the League’s Facebook page. In partnership with Major League Soccer, the USL is at the forefront of a new era in officiating when it became one of the first professional soccer leagues in the world to participate in The International Football Association Board (IFAB) and FIFA’s Video Assistant Referee project. The USL will work closely with the Professional Referee Organization (PRO) and MLS to test video assistance for referees in the United States and Canada. Has seen its USL Digital Network grow to include six teams since it launched at the start of the season with six more teams currently in development. On the pitch, competition across the league continues to grow as newcomers to the league are making an immediate impact. Six teams are separated by just seven points at the top of the Western Conference entering Week 19’s action, while Eastern Conference leader Louisville City FC and the New York Red Bulls II are separated by only one point, having suffered only two defeats apiece so far this season. As indicated by the Red Bulls II’s performance, the League’s young players have taken an even bigger step into the spotlight this season, with players like Derrick Etienne Jr. and Junior Flemmings playing key roles for their side. Additionally, 15 players are set to compete in this week’s MLS Chipotle Homegrown Game having played in the USL over the past two seasons, with league-leading scorer Jack McBean of the LA Galaxy II being accompanied by players such as Orlando City B’s Tyler Turner and FC Montreal’s Maxime Crepeau. 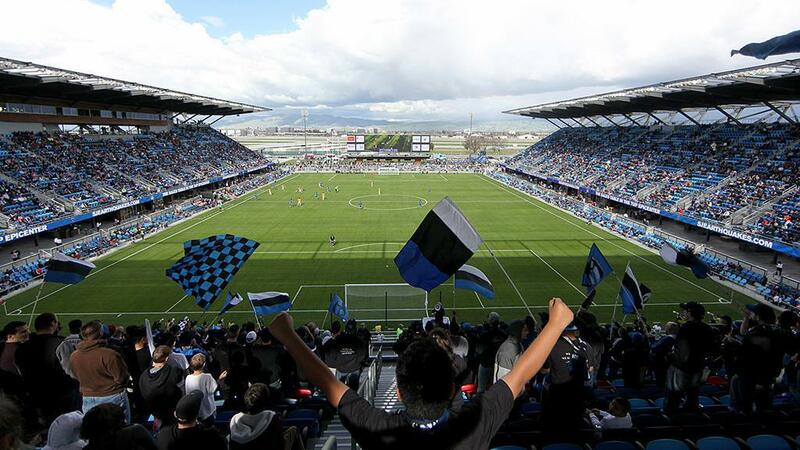 On June 4, the Portland Timbers 2 took a home game to Boise, Idaho and played the Swope Park Rangers in the first USL game to be played in the state of Idaho. The game was part of the Timbers’ burgeoning relationship with their neighboring state as Idaho is part of Portland's homegrown territory in MLS terms. Since the start of the 2016 season, Reno’s 2017 USL expansion side has announced its team colors, logo and name – Reno 1868 FC – and hosted both an international club friendly on May 25 between Sacramento Republic FC and Liverpool FC U21 and a USL regular-season game between Republic FC and Real Monarchs SLC at the team’s home pitch, Greater Nevada Field.